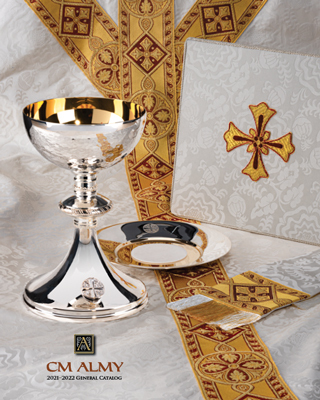 View our complete collection of fine clergy clothing, ecclesiastical furnishings, sacred vessels, choir robes and church supplies. Two ways to view Almy catalogs . . .
Electronic Catalogs Help us save paper and postage by browsing complete electronic versions of our print catalogs. Just click the links below! Paper Catalogs Some of us still love to flip through the pages of a paper catalog and we’ll be happy to send one to you. Click here for our current titles.